Abstract: In search of depictions of medieval vegetables, a study of medieval vegetable gardens of the common man and woman was made. These gardens commonly occurred, but as they were probably too vulgar they were not described and depicted. In legal cases or financial accounts their presence has only been documented. Exchange of seed, seedware and knowledge between the common man and woman maintaining vegetable gardens and gardeners of vegetable gardens of castles, mansions, monasteries, abbeys and hospitals, and vice versa is described. It is suggested that links between both groups were frequent and strong, as most monks, although often entering the monastery at a young age, and servants of chatelains have grown up in ‘common’ families and ‘received’ their first practical training in gardens of the common man. During visits seed, seedware and knowledge will have been exchanged. After having studied the presence of vegetables and their forms in the 16th to 19th centuries as shown by paintings made in Flanders and North Netherlands it was decided to extend the study to vegetables of the Middle Ages. For Northwest Europe almost no vegetables as such have been depicted and described for this period. Therefore, our search was extended to studying medieval vegetable gardens, in the hope to find depictions and descriptions of vegetables in such gardens. The result is that almost no descriptions and pictures are available. And if available they commonly refer to vegetable gardens of castles, mansions, monasteries, abbeys and hospitals. We may find information on these gardens in manuscripts and altar paintings. Vegetable gardens of the common man and woman, living in towns, in villages, on farms and market gardening enterprises, are little referred to. 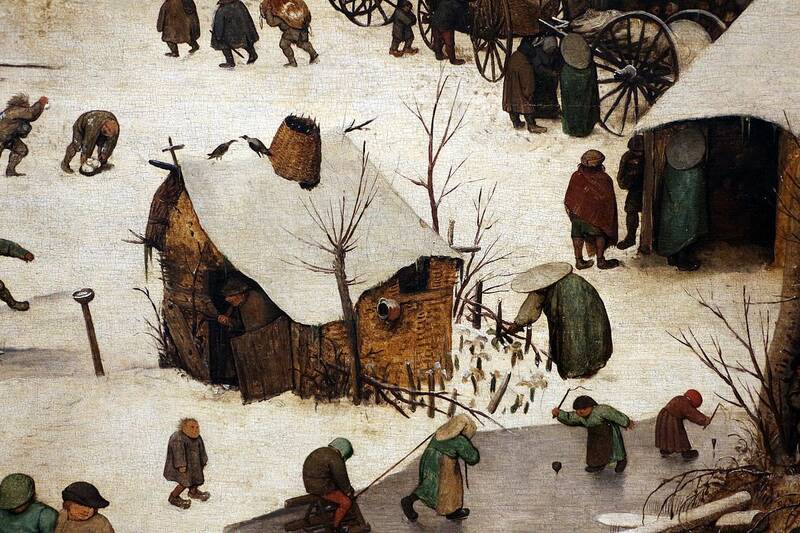 Top Image: The Census at Bethlehem, painted by Pieter Brueghel (1566). A cabbage garden is located at the right hand side in front of the bended person. At the left-centre side at the river bank we see cut stems. They could be left of cut coppice or of cabbage plants.